I don’t change our Christmas tree theme every year because ornaments and decorations are expensive and we live in a small house so changing decors every year will not help us. Where will I store all the decors after Christmas? So for the last few years, I just added one or more ornaments and reuse the old decors. If there are stuff that I won’t use anymore, I give it away. For the last 3 years, we’ve been making handmade decorations on our Christmas tree. So far, we made Christmas angels, paper ornaments, salt dough ornaments and gingerbread ornaments. 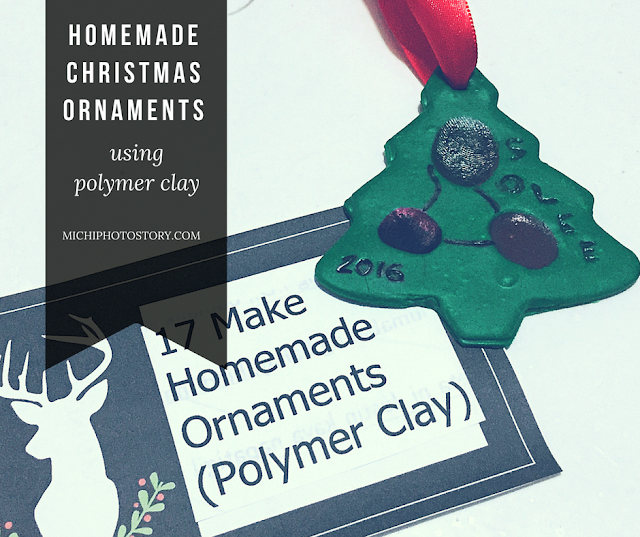 It is really nice to see those DIY ornaments every year because it is not just a decor, we made it and there is a story behind it. It is a good way of keeping our memories alive. Last Saturday, we made another Christmas Ornaments using Polymer Clay. 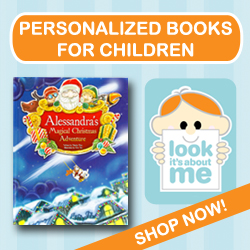 It is our Day 17 Advent Calendar activity. We’ve made Salt Dough Ornaments last year but it did not last so this year I decided to use polymer clay. I bought polymer clay last month at National Bookstore but there are only two available colors, green and yellow and I chose green. I only bought one clay so we can try it, the polymer is not cheap too, P95. 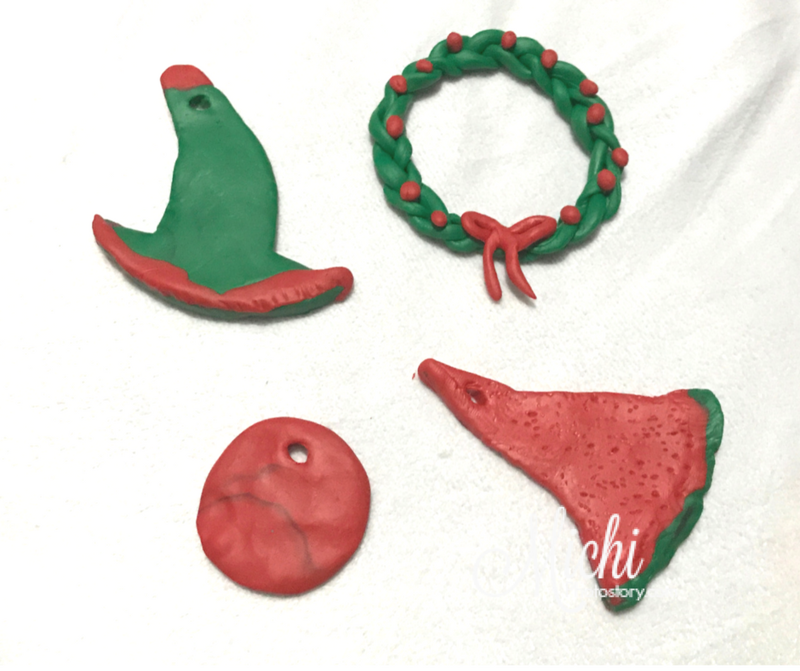 For the tools, we use my son’s clay tools that I bought in Daiso Japan, old Christmas tree Cookie Cutter and Oven Toaster. 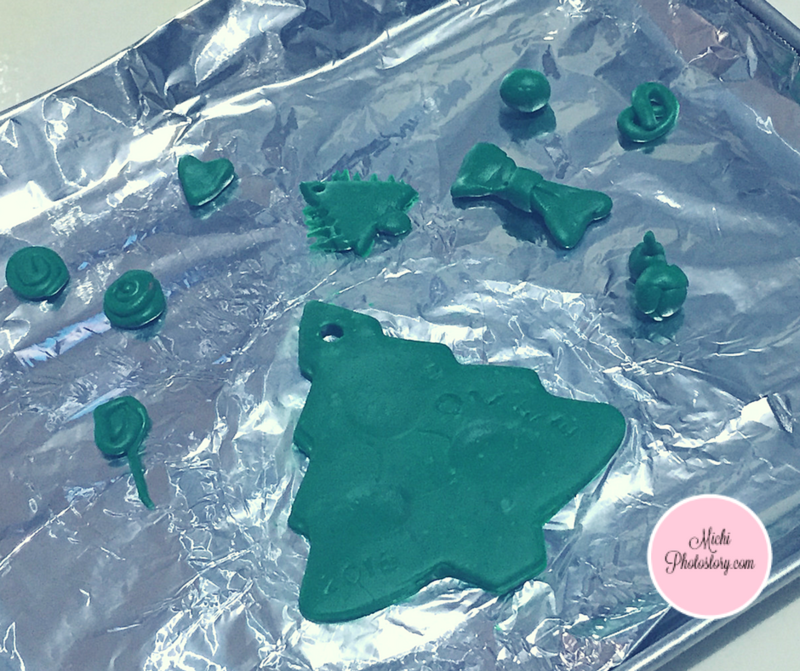 Since it will be our first time to use polymer clay, we just chose an easy design which is Christmas Tree and we put our family fingerprint to add a personal touch. For baking time, I just refer to the instructions at the back of the polymer clay packaging. We use sharpie pens to color the fingerprint. We’re so happy with our first polymer clay Christmas ornaments. 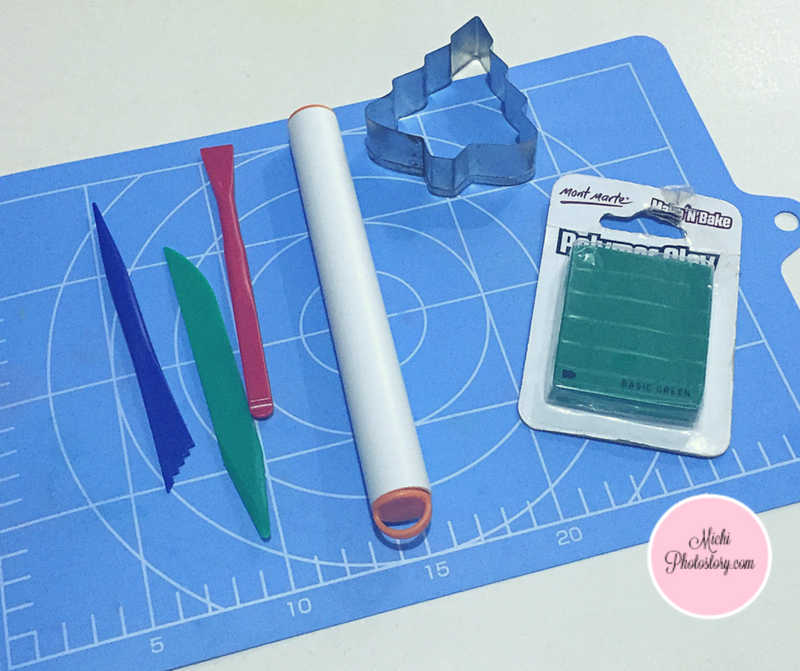 We will definitely do this again, more practice pa. Aside from NBS, do you know where I can buy polymer clay here in the Philippines? We did not do any Advent Calendar activity this year. Last year, we made ornaments using polymer clay so this year, my son wanted to make a new ornament. So when I visited a bookstore, I bought red polymer clay. He was bugging me to do it right away but I told him, sa Christmas break na lang so he has something to do. So during the holiday break, we made new polymer clay ornaments. We did not hang this anymore kasi few days nalang Christmas na. hehehe! But I will include this in our Christmas tree next year. I made the wreath and watermelon. 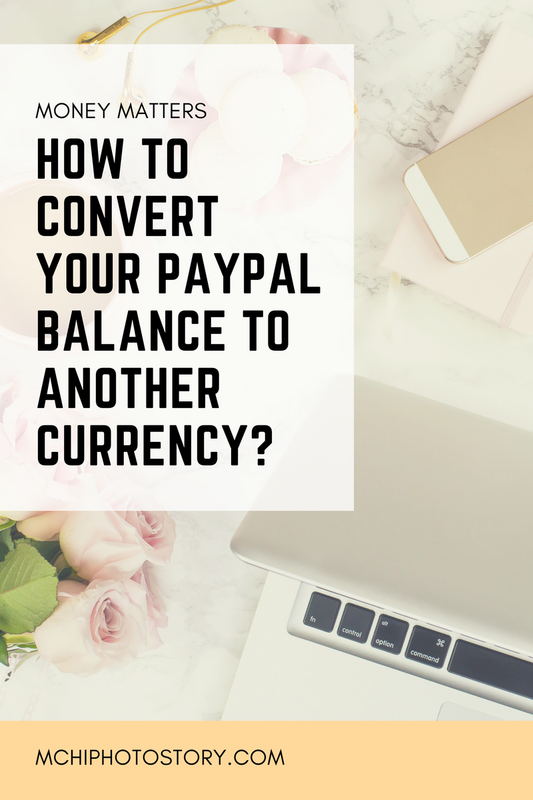 How to Convert Your Paypal Balance to another Currency? Since October, I was having issues with Paypal whenever I need to send payment. I have USD and PHP balance in my account but whenever I make payment, it doesn’t allow me to choose the currency. Of course, I want to use the PHP balance for PHP transactions. Read: Why I Can’t Use my Paypal Balance? Last November, it happened to me again when I placed an order in Sample Room. It so frustrating that I can’t use my PHP balance so last Monday, I searched if it is possible to convert my PHP balance to USD. And I was so glad when I learned that I can convert currency. I tried it last Tuesday and here are the steps. 2. Click Paypal Balance under your profile photo. 4. You will see the Currency Exchange at the right side and fill out the form. 5. Click Review Exchange to see the conversion details. 6. Click Exchange Currency to confirm the transfer. One of the concerns about traveling is “How to Get to the Airport?”. You have to consider different options. Am I going to commute? 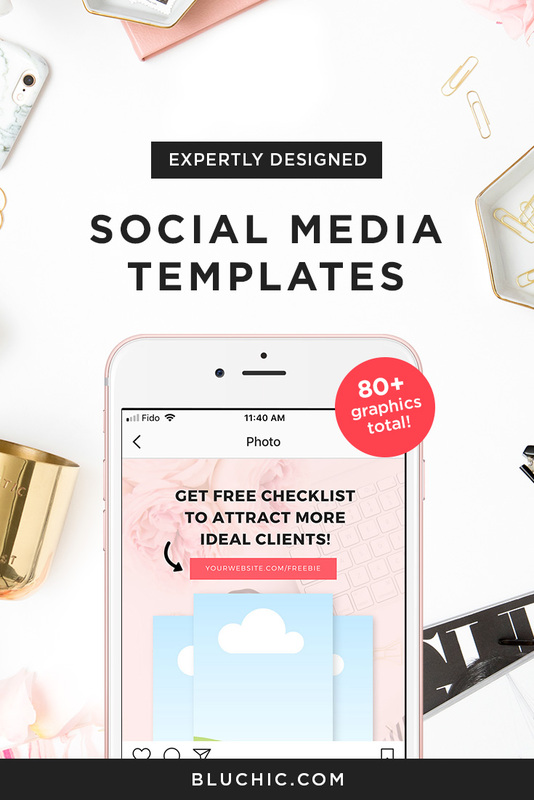 Am I going to hire a service? Will someone drives for me to the airport? Or Am I going to park at the airport? 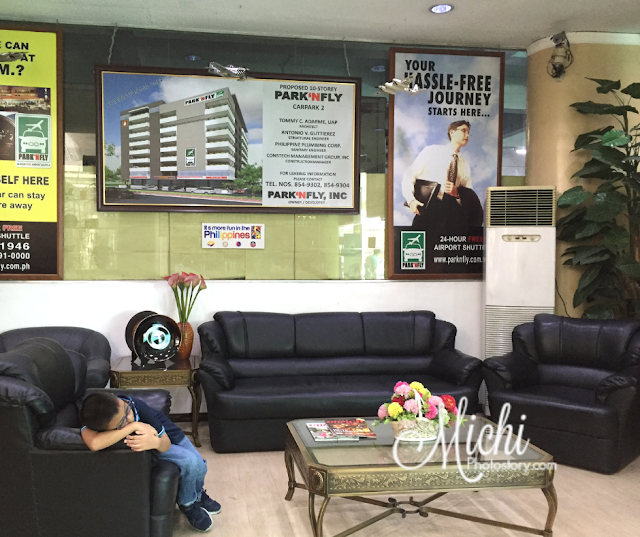 We’ve tried commuting to the airport but of course, the most convenient way is to bring the car especially that we live outside Metro Manila. Hiring a service is more expensive and commuting in the wee hours is not easy. Parking at the airport or offsite airport parking is a good option. We used to park our car in NAIA 3, NAIA 2 and DMIA but they have increased their parking fee so we tried Park 'N Fly. 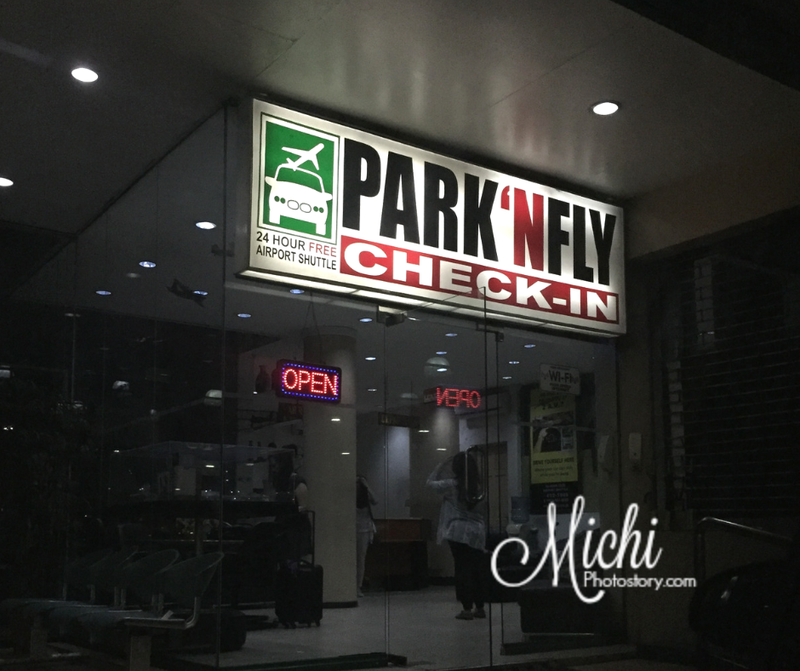 Since last year, my husband has been using the service of Park 'N Fly and so far, no bad experience yet. 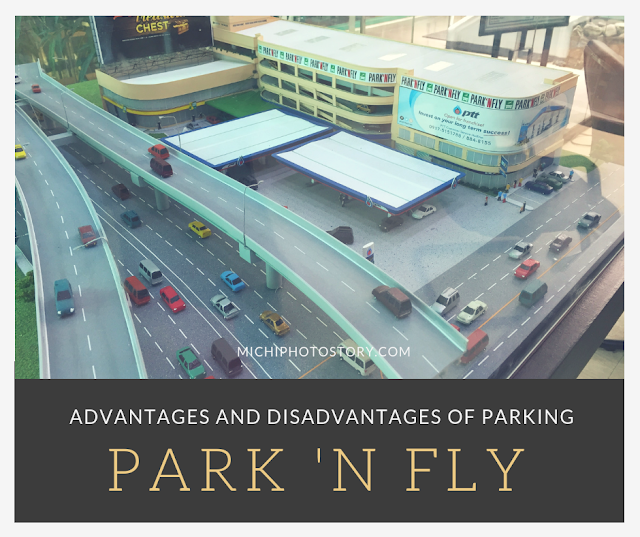 In my “5 Days in Singapore” post, one reader asked me “How’s our Park 'N Fly experience?” so I decided to create this post to give you an idea, just in case you are planning to park your car at Park 'N Fly. 1. On your way to NAIA, you will easily notice the Park 'N Fly because it is just beside the gas station. Park your car and get all your stuff. 3. Surrender your key. Then the staff will ask for your plate number, your name, and flight details. 5. That’s it! All you need to do is wait for the free airport van shuttle service, that will drive you to and from the airport. After your trip, once you get your luggage, call the Park 'N Fly office so they can pick you up. Then settle your parking fee, P350 for the first 24 hours + hourly rate. 1. You can leave your vehicles on daily, weekly or even monthly basis. The longest that we left the car is 7 days. 2. Park 'N Fly is open 24 hours a day and 365 days a year including weekends and holidays. 3. It is an indoor parking so rain or shine, your vehicles are covered and secured by electronic surveillance. Though I'm not sure if all cars are park in the covered area, sometimes kasi madumi yung car namin pagkuha, parang nabasa na ng ulan. 4. No reservations are needed. 5. 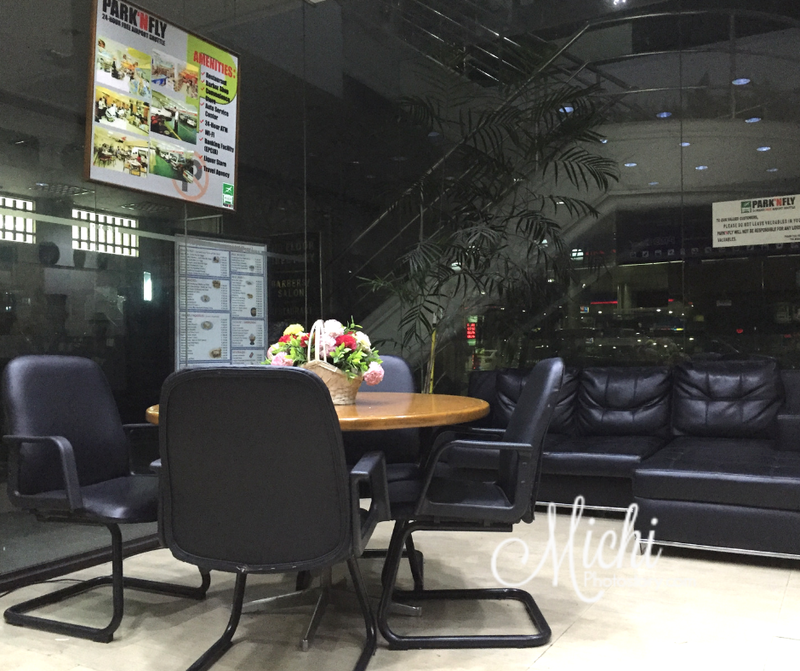 They have customer’s lounge with complimentary wifi and TV. 6. They also accept credit card payment. 2. Additional 30 minutes to 1 hour to your travel time because you have to wait for your turn, register or fill-out form then wait for shuttle service to the airport. 3. After getting your luggage, you have to call them, wait for the shuttle to pick you up. Then pay for the parking fee and wait for your car. Additional 30 minutes to 1 hour before you go home. Ever since I changed my Christmas tree theme last 2012, I did not change it anymore. I’m very much satisfied with our Christmas ornaments so I don’t have any reasons not to reuse it. I just buy or make our own Christmas ornaments to add more decorations to our Christmas tree. Last year we made salt dough ornaments but it did not last, maybe because of the moisture or I did not store it properly so I threw it away. Anyway, I have brown felt cloth at home na pakalat-kalat lang so I decided to make another ornament. Of course, I asked permission from my son because he owns the felt cloth. He got it from one of his activities at Edsa Shangri-la Cubs Trainings. 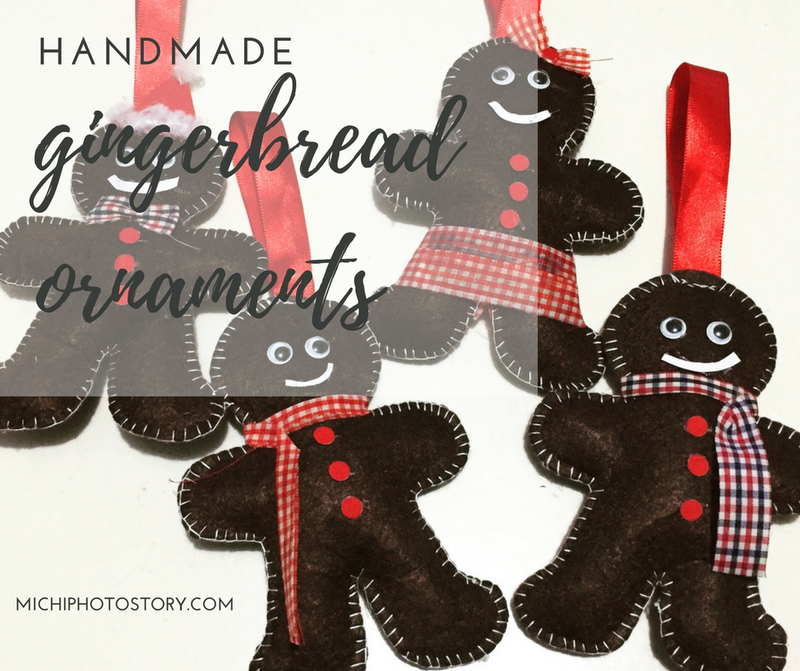 My son allowed me to use it so I was able to make gingerbread ornaments. I did not buy any materials so I just use whatever I see at our home. 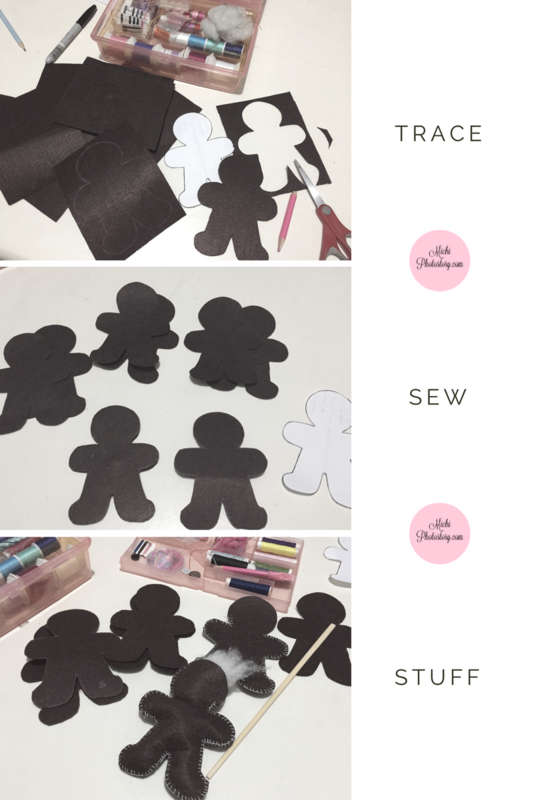 I looked for gingerbread pattern, printed and traced it on the brown felt cloth. From the scrap felt cloth, I was able to make four gingerbreads then I patiently sewed them. My son helped me in stuffing the ornaments and I decorated it. 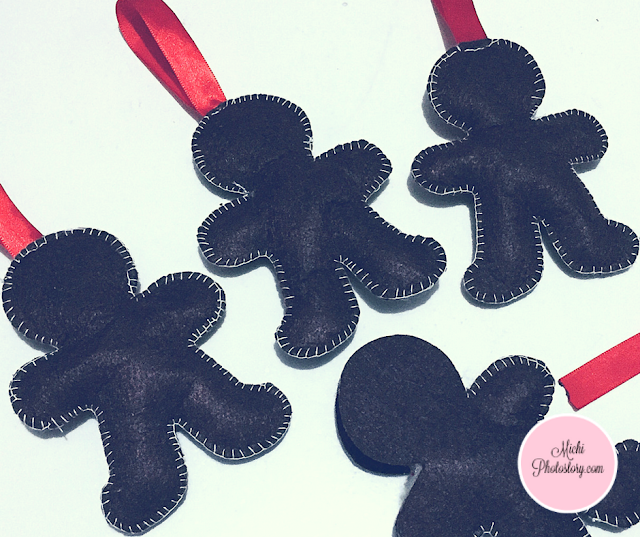 We’re so happy with our handmade gingerbread ornaments and it is now hanging on our Christmas tree. Indeed, you can save money on upcycling stuff at home. I guess when you have a computer at home, it is automatic that you also buy a printer. It is very significant especially if you are working or if you have kids who are in school. It is very helpful in printing documents, e-ticket, itinerary or school homework and projects. I have two printers at home, one for scanning and one for printing. If you remember my post five years ago, I bought a 3-in-1 printer because the old printer was broken but I was not happy about it. Three years ago, my husband replaced my laptop and it has a FREE printer (no scanner) so I’ve been using it for printing. They are still working fine but I’ve been meaning to have a new printer with Bluetooth or wifi access. I even joined Brother contest last 2014 but I did not win the special prize, free 2015 calendar lang. Hehehe! We live in a small home so space is very important, so I just want to have one printer that can do everything. But the problem is, the 3-in-1 wireless network printer is not cheap so I was really hesitant to buy. The two 3-in-1 printer that I bought before wala pa P4000 and Brother DCP-T500W is P9450. Waah! So it took me months of thinking if I will buy or not, I’ve been asking my friend’s feedback too, she bought this printer a few months ago. 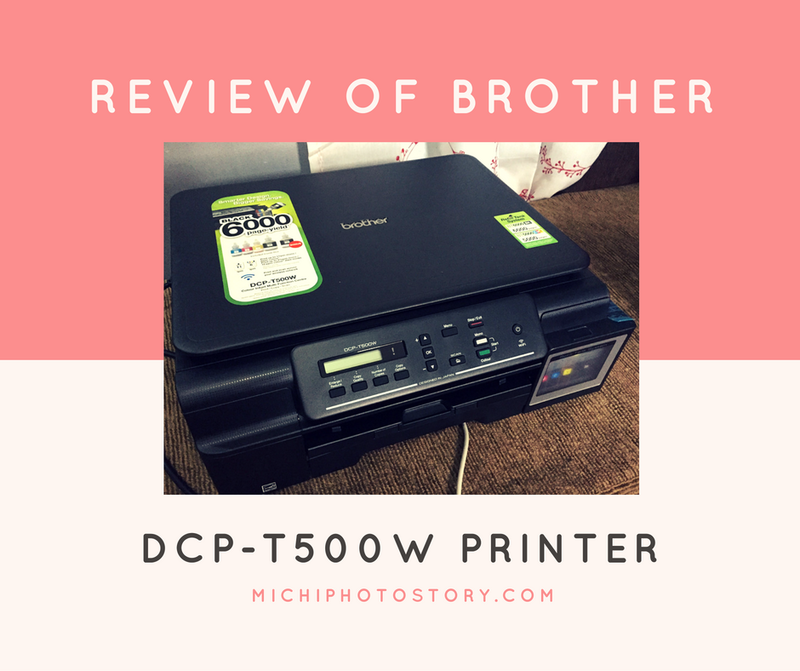 She is satisfied so finally last month we bought Brother DCP-T500W at P8950. They have FREE BPI Gift Card promo worth P1000 until December 31, 2016. I’m not a tech blogger so I can’t give you a full review but I can tell you that I’m very much satisfied with our printer. Find out why? 1. It is a 3-in-1 printer so I can print, scan and copy. 2. It is wireless network ready so I can print and scan without connecting my laptop to my printer. I can print and scan also using my mobile phone, I just downloaded an app to do that. Before, my husband always sends me his files like e-ticket and hotel confirmation to print because his company laptop has no access to our home printer. But now, he can print it on his own using his mobile phone (app). Whenever I browse recipe online, I always see the click print button. Now, I’m happy to say that I’m enjoying that feature even I’m just using my mobile phone. Printing is easy as 1, 2, 3. 3. 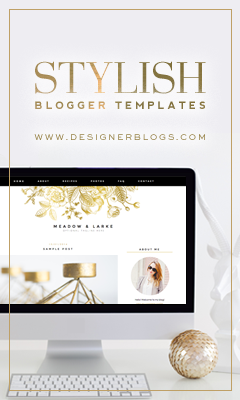 The paper tray can hold up to 100 sheets and can print up to 200gsm paper. I can also adjust the paper tray according to my paper size or even photo paper size. Yes, I can print photos. 4. 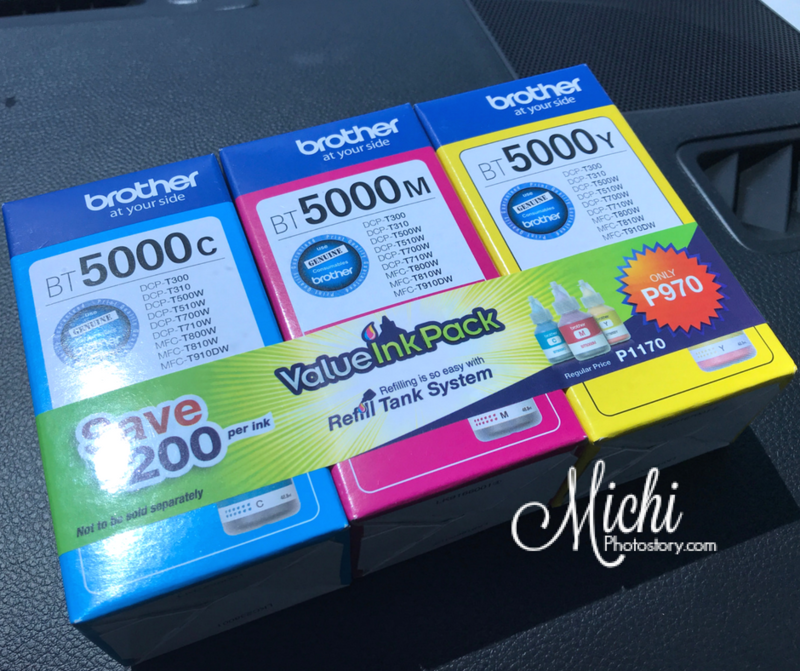 I like the refilling tank system of Brother DCP-T500W because the refill is only P390 and according to the packaging, it can print 6000 pages. I hope it is true because I always print worksheets and reviewer. Before I’m using ink cartridges, the ink is not cheap too. 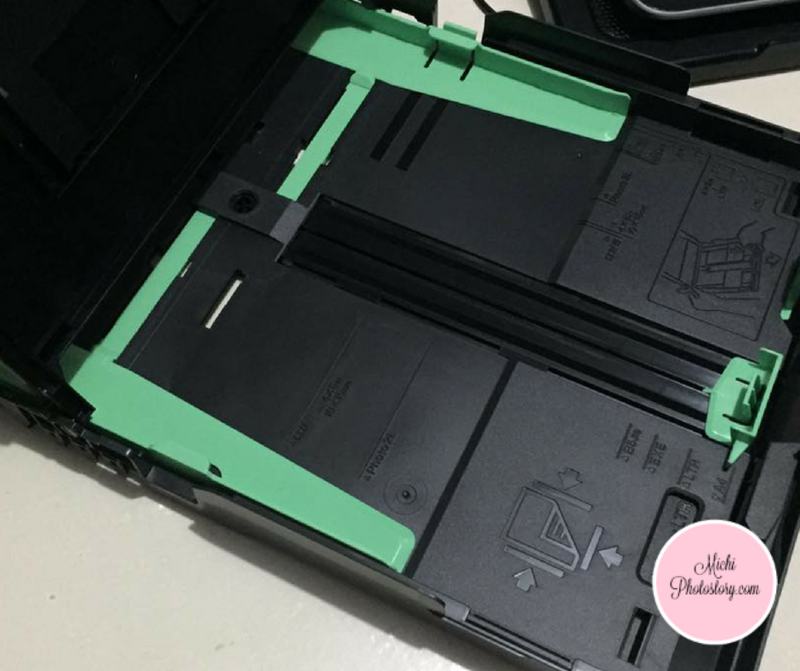 It cost me almost P1700 for the black and colored ink and because my printer is an old model, pahirapan sa paghanap ng ink. I’ve been using this printer for almost a month and I’m still discovering and learning how to use the other features. I will just update this post. Update July 2018: I've been using our printer since November 2017 and just this month, I saw a prompt that my Cyan ink is low. After 19 months, ngayon lang ko bumili ng ink. The ink is P390 for one bottle but there was a promo. I bought the 3-in-1 pack for P970. I saved P200. 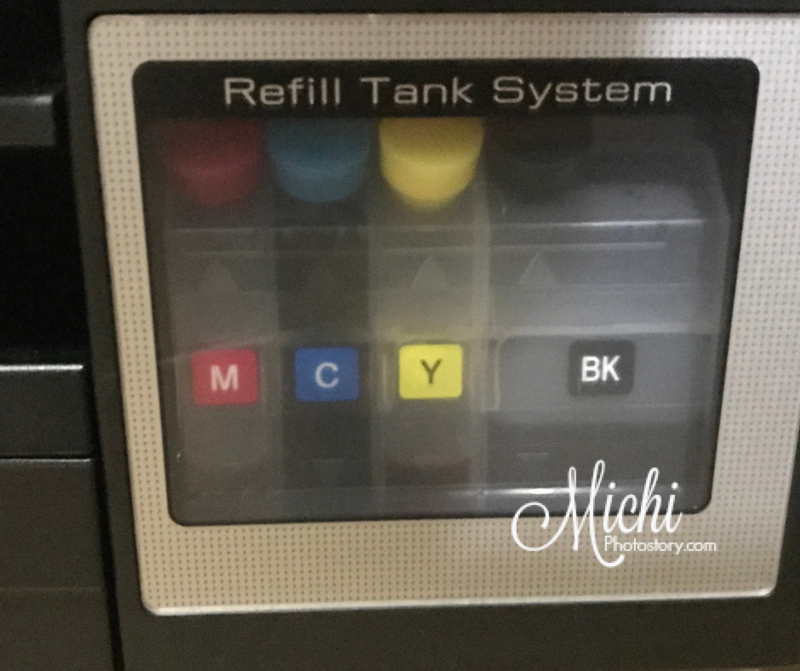 Refilling is also easy. So I guess, my investment on this printer is worth it, sulit ang ink. 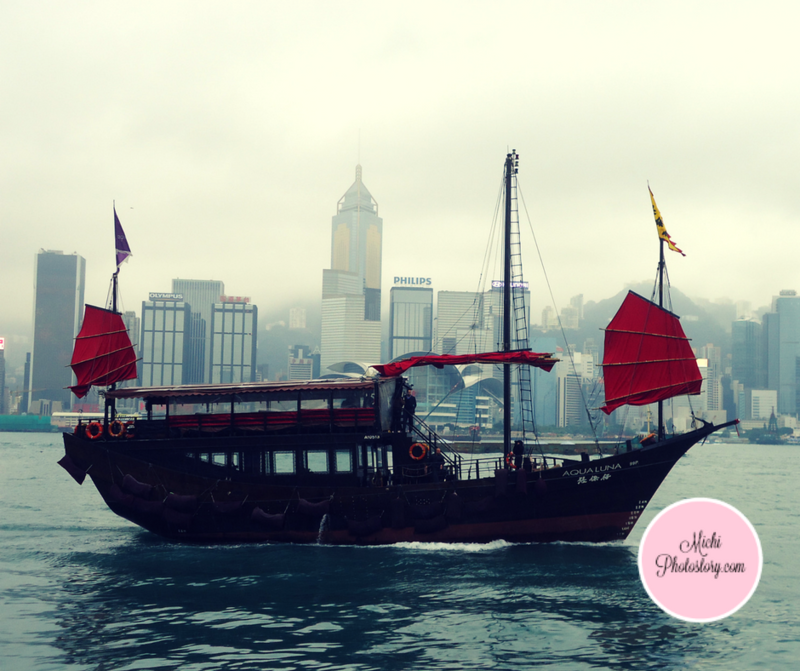 Hong Kong is on my bucket list and I was happy that I finally ticked it off on my list. Whenever there’s international seat sale, I always check Hongkong but I wasn’t lucky in booking a flight. It took me years before I was able to score a cheap fare during P1 seat sale and would you believe it was only P2000+ for 3 persons. One way fare only because I booked another flight from Macau so I could save time and ferry fare. 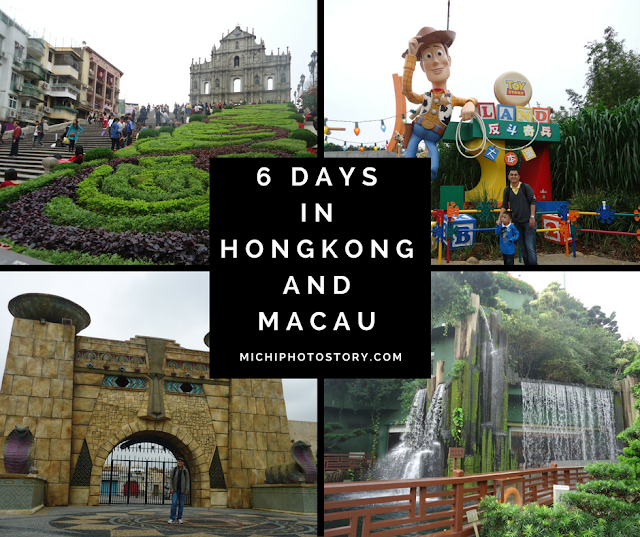 I'm sharing with you, our Hongkong and Macau itinerary when we went there last November 2012, I’ve revised it so many times because of the weather but still we enjoyed our stay especially in Hong Kong Disneyland. 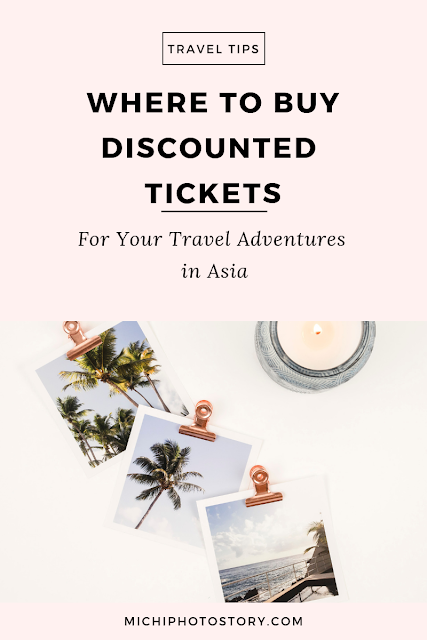 They say one week is not enough to enjoy Hongkong but since we want to do Hong Kong and Macau in one trip, I need to choose the tourist spots that we’re going to visit in four days. 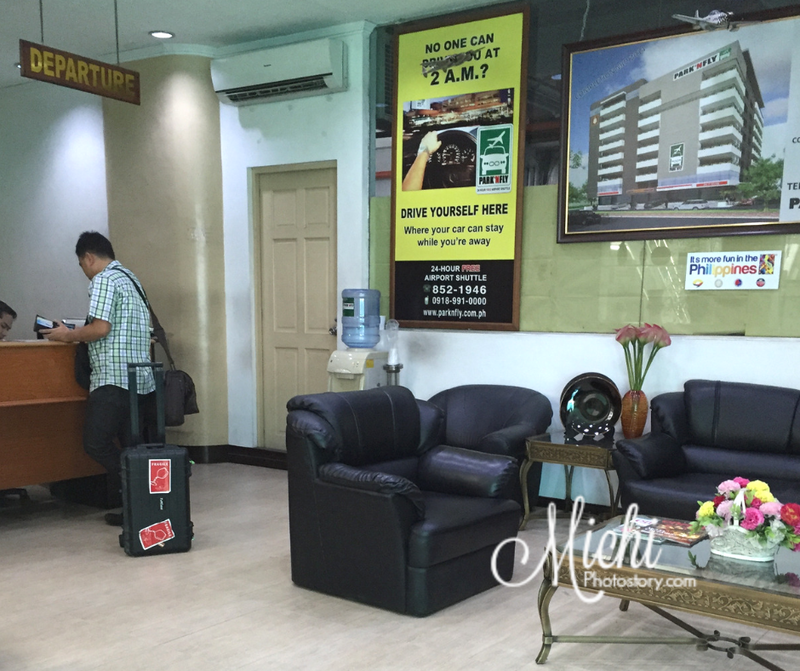 Upon Arrival in HKIA, we immediately went to Yiu Fai Guesthouse to check-in our luggage before starting our tour. We rode A21 bus going to Tsim Sha Tsui (TST) fare is $HK33. 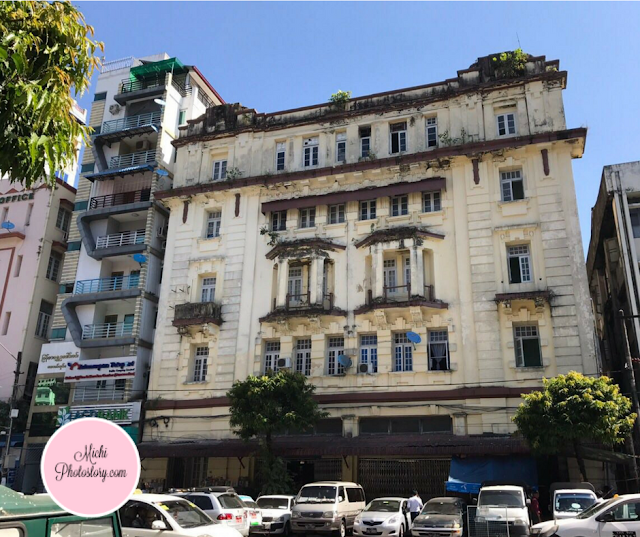 From bus stop we walked to the Golden Crown Building where the guesthouse is located. We visited 1881 Heritage, Clock Tower and Avenue of Stars which are all walking distance from TST area. From TST, we took the MTR going to Central Station and head to Exit J2. We just follow the signs going to lower Peak Tram terminus where we will ride Peak Tram. We rode the Peak Tram to reach “The Peak”. My husband was not interested in Madame Tussauds so we did not buy package ticket just a roundtrip Peak Tram ticket. 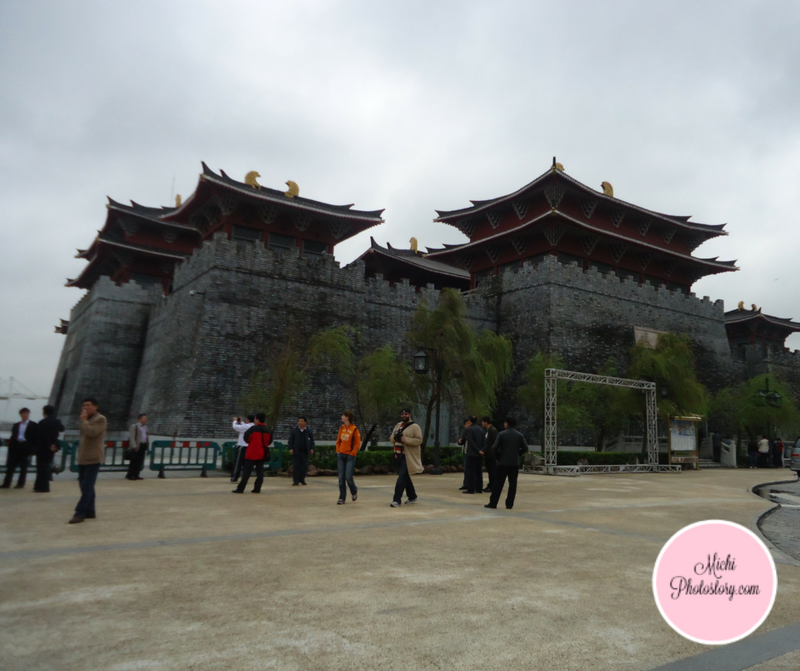 We woke up early on our second day because we will visit Chi Lin Nunnery and Nan Lian Garden. 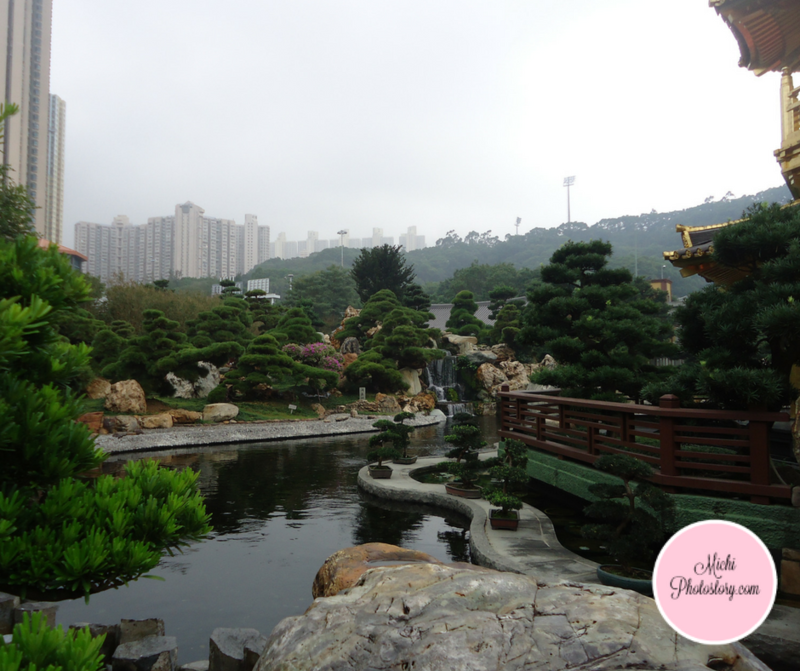 It was surprising that there is a garden in the midst of busy city. 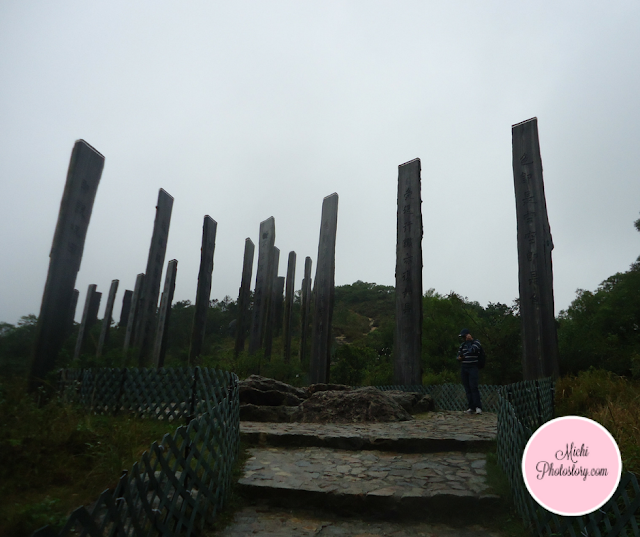 After that, we proceeded to Ngong Ping Village. Shopping is not included in our itinerary but we did a quick visit in City Gate Outlet because we need to buy some clothes. We need warmers to survive the coldness of Hongkong weather. From Yiu Fai Guesthouse we transferred to Disney’s Hollywood Hotel for our next accommodation. 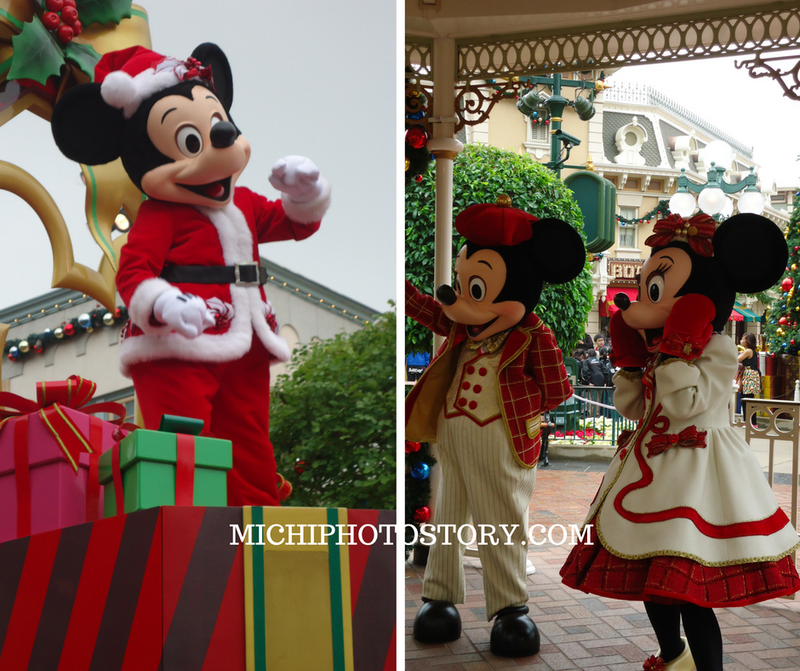 We spent our two remaining days in Hong Kong Disneyland. We let go the Ocean Park because we’re more interested in Hongkong Disneyland and my son really adores Mickey Mouse. Tips: If you are on a budget you can eat at Chef Mickey’s Restaurant for breakfast but if you want the meet and greet experience with Disney characters, book your breakfast in Enchanted Garden. If you are looking for affordable fastfood in Hong Kong, you can try Cafe de Coral, they have branches everywhere. Now I know why people always go back to Hongkong, if only I have the budget, I will go back again. Bitin ang 4 days. After Hongkong Disneyland, we went straight to the Sheung Wan Ferry Pier. We refunded our money in Octopus card and bought ticket at TurboJet Counter. We stayed in Hotel Sintra, I chose this hotel because of the location. It is walking distance to New Yaohan Mall, Tourist Spots and Hotels. We had two whole days to roam around. 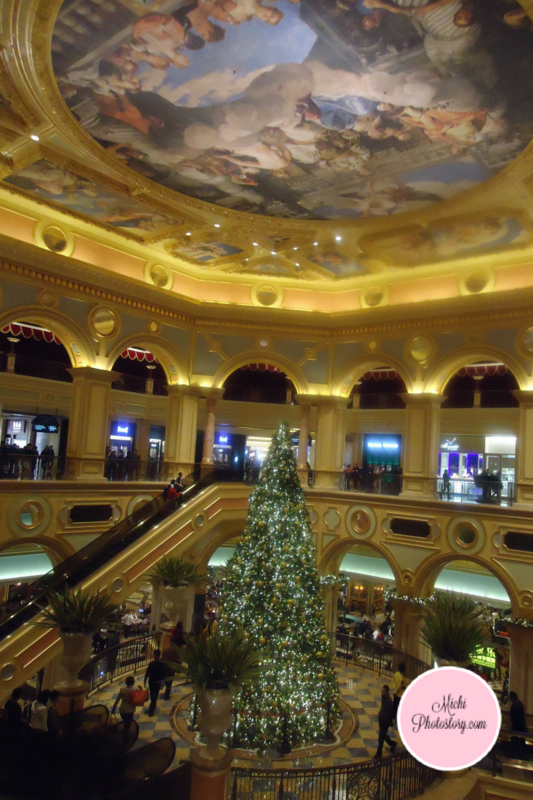 Macau is not only for people who love casino because there are several things that you can do in Macau. Sharing with you our Macau itinerary. 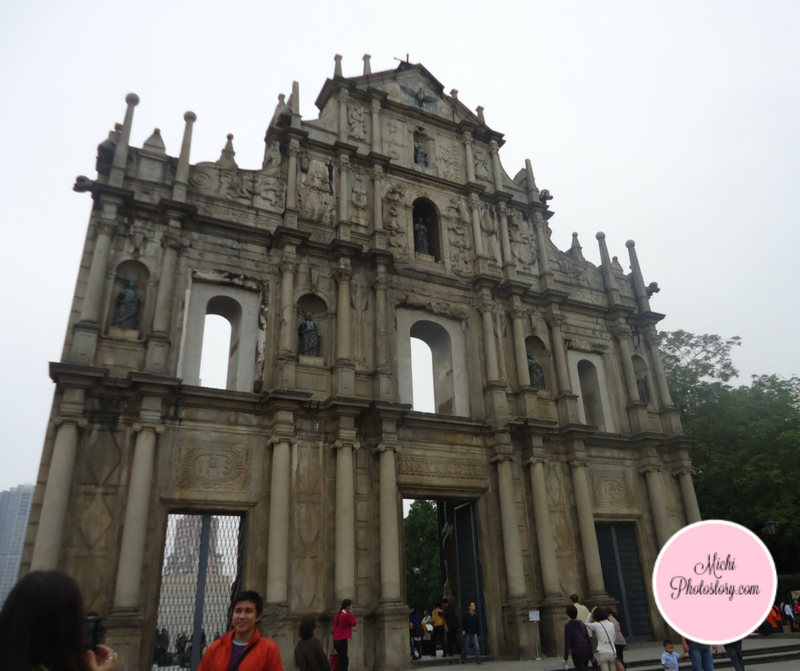 We visited the famous tourist spots such as Senado Square, St. Dominic Church, Ruins of St Paul, Macau Museum and Monte Fort. Then we went back to our hotel to rest. Then we went to Michael Jackson’s Gallery in Sofitel, no entrance fee. We're not really a fan of MJ but since this is a free museum, we paid a visit. We went back to Senado Square for night photo. We woke up early to finish our itinerary. We were not able to watch Prosperity show because it was under maintenance so we went straight to Fisherman’s Wharf. It is a tourist spot near Macau Ferry Terminal. Then we started our Hotel Hopping, we visited Grand Lisboa, Wynn Hotel, City of Dreams Hotel and Venetian Hotel. We watched Bubble Show at City of Dreams. We only experienced Bubble Show because Dragon’s Treasure, Prosperity Tree and Fountain Show are under maintenance. Finally, we went to Macau International Airport. Back to Manila, Philippines. Tip: Take advantage the free shuttle bus of different hotels. We did not spend any money for our transportation in Macau. We just walk or ride shuttle buses. There are free food tastes on your way to Ruins of St Paul. This is also the place where you can buy pasalubong. Do not forget to taste the famous Portuguese Egg Tart and Lechon Macau. Our Day 4 Advent Calendar Activity yesterday was “Bake a Cupcake”. 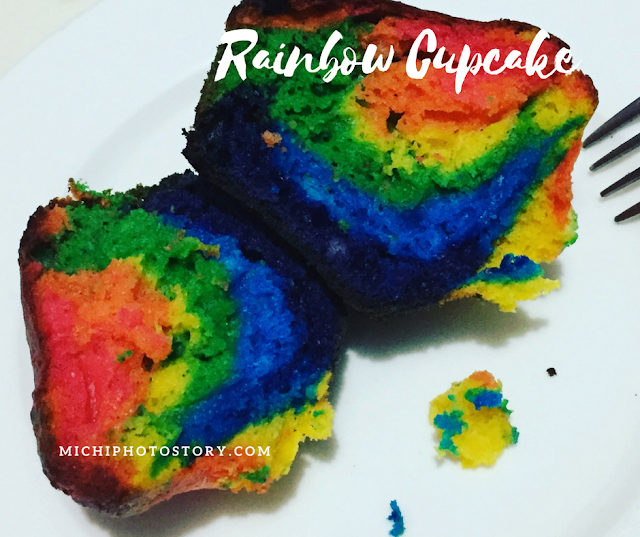 Since last year, my son wanted to bake a Rainbow Cupcake but it took me a long time to fulfill his wish. 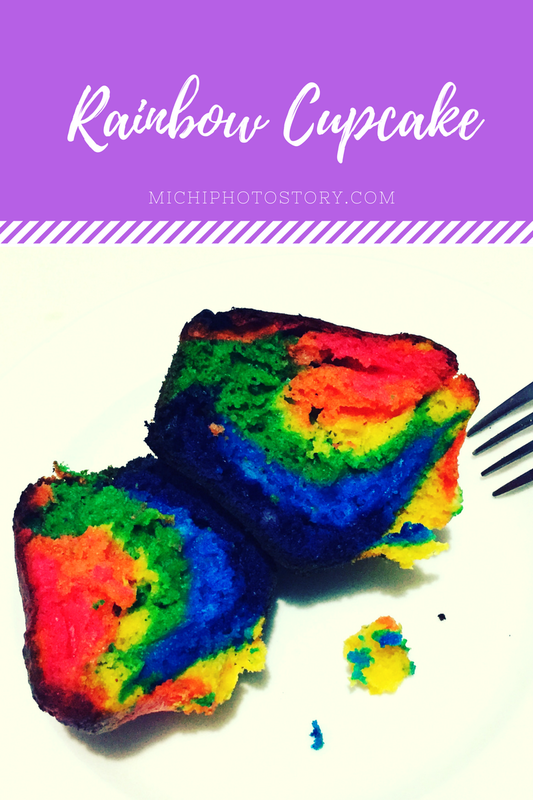 If you remember my post last year, we tried to bake a rainbow cupcake but I only had two food coloring at home so we ended up baking a Christmas Cupcake. So every time I go to supermarket, I always check the food coloring and I was able to buy 3 primary colors which is red, blue and yellow. But the problem is, I can’t find the white cake mix. Good thing, I saw the Pillsbury White Cake Mix two months ago at S&R so I bought 3 boxes na because bihira ko siya makita. The cake mix is more or less P80. I did not bake this immediately because I will include this in our Advent Calendar Activity. To make the long story short, we baked Rainbow Cupcake yesterday. Since I’m using a ready cake mix, all I need to do is add 3 eggs, 1/2 cup oil and 1 cup water then mix everything. I divide the batter in 6 bowls then put food coloring. I have the primary colors, so I just mix two colors to produce secondary colors which is violet, green and orange. O di ba, instant art lesson pa. My son was really happy in mixing the batter. 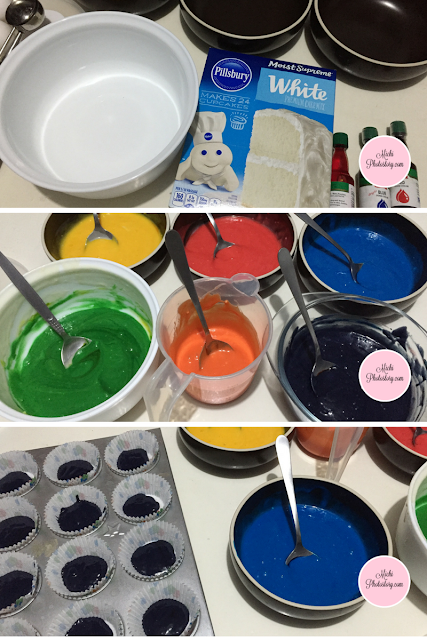 Then I put the batter in baking cup according to rainbow colors, red, orange, yellow, green, blue and violet aka ROYGBV. Yes I know, kulang ng indigo. Hehehe! We baked it and we’re so happy with the result. Finally we did it. We’re so happy to see the layers of the color and I can definitely say that we will do this again. But next time, 1/2 full na lang yung batter para di lumagpas yung cupcake sa baking cup. 1. Set oven to 350F. Coat bottom of pan with no-stick cooking spray or shortening and a flour dusting. For Bundt cake, coat an entire pan. 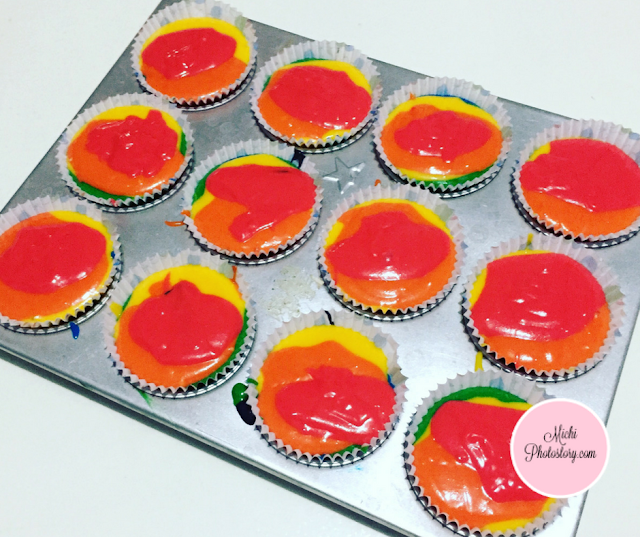 For cupcakes, use paper baking cups. 2. Beat cake mix, water, oil and eggs in bowl with mixer on medium speed for 2 minutes. 3. Divide batter in separate bowls. Add food colors and mix. 4. Pour batter into muffin pan. One color at a time. 5. Bake at 350F for 19 to 23 minutes. When a toothpick inserted in the center comes out clean, cake is done. 6. Cool for 10 to 15 minutes before removing from pan. Cool cake completely before frosting. 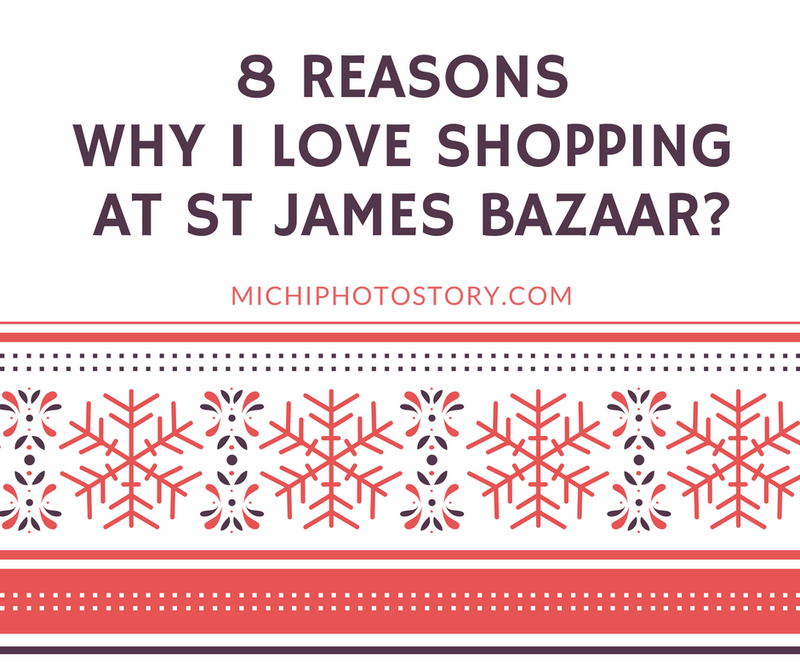 8 Reasons Why I Love Shopping at St James Christmas Bazaar? One thing I look forward every Christmas Season is visiting different bazaars. 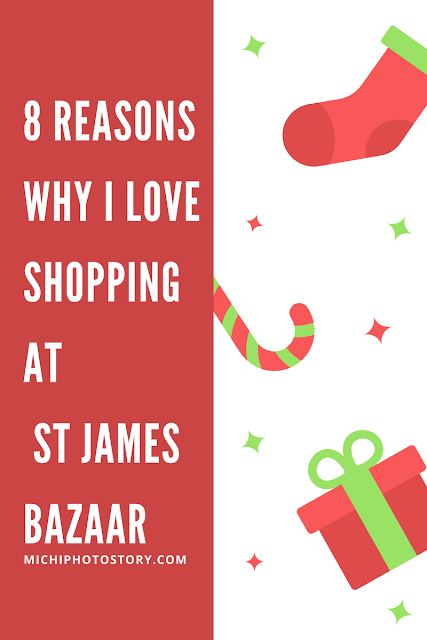 There are 3 bazaars that I frequently visit during the past several years such as Noel Discovery Bazaar, World Bazaar Festival and St James Bazaar. St James Bazaar was established in 1991, so they just celebrated their 25th anniversary last week. It was built to raise money to build the church in Ayala Alabang Village which is the St James the Great Parish Church. I only learned about this bazaar when I moved to Southern Luzon, there are tarpaulins near Alabang Town Center area. At first, I was hesitant to visit this bazaar kasi feeling ko pangmayaman at nasa Ayala, Alabang. 2008 was my first visit in St James Bazaar, as in baby pa anak ko. But during that time, there are only few stores but few years ago nag-improve na. Now, there are more than 500 concessionaires in the bazaar. Most of the bazaars are in Metro Manila, I live in Southern Luzon so Alabang is my good option to avoid the city traffic. I also save more in toll and gas. Some bazaars has P75 or P100 fee but St James Bazaar has no entrance fee, the best thing in life is always FREE. Big savings for me or else, I will pay for 3 tickets which is pang foods and drinks na rin yun. Aside from no entrance fee, there is no parking fee but there are times that it is hard to find a parking slot so you need to go there early or be ready to walk far. No problem if you ran out of cash because there are ATM machines in the area where you can withdraw and some stores accept credit card transactions too. There are food stalls too where you can buy drinks and food. In some bazaars that I’ve visited, there are no available tables and chairs, so nakatayo kakain. But in St James Bazaar, no need to worry because there are tables and chairs when you dine. We ate at Ineng’s Barbecue and Ellies Roasted Calf during our last visit. When I say One Stop Shop, it means there are different stores that will cater to different customers. They sell foods, beverages, jewelry, accessories, home decor, personal care products, toys, clothes, stationery and many more. I prefer going to bazaar because there are products that are not available in the mall. There are online stores that I follow in social media that have kiosks in St James Bazaar so it saves me from shipping fee. I just buy products at the bazaar and sometimes they have promo too if you buy there. If you are into contest, you can join the different activities or you can buy raffle ticket to win some prizes. You can help because the proceeds of the 4-day bazaar will be given to St James Parish Church. Not only that, you can help small entrepreneurs in earning money. Yes, support small businesses. I won’t share photos muna because some of the stuff I bought is panggift. Hehehe! The not so fun part of traveling via airplane is waiting. You need to be at the airport 3 to 4 hours before your flight. Sometimes there is delayed or canceled flight so you have no choice but to wait again. If you have a connecting flight, you need to wait or run to the next boarding gate to catch your next flight. Or the worst case is sleeping at the airport. 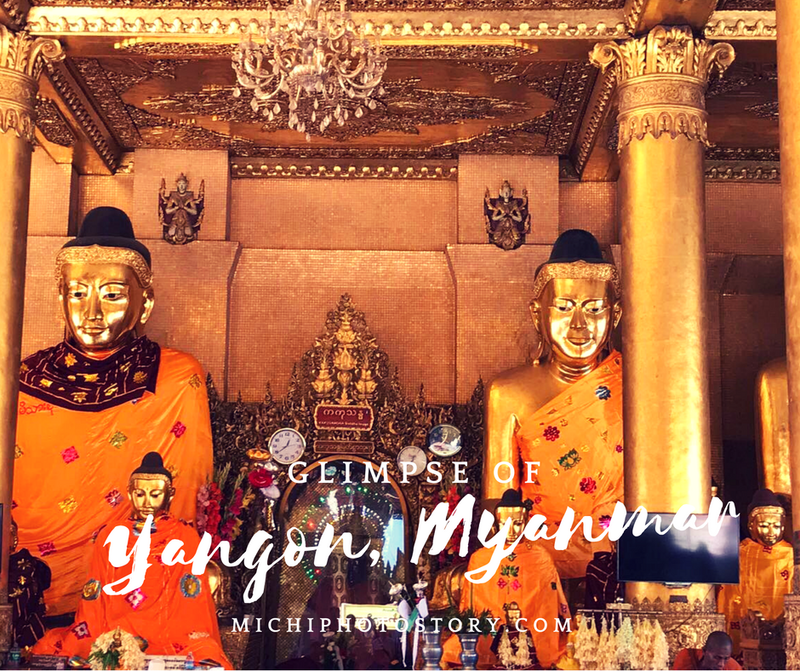 It happened to my husband when he went to Yangon, Myanmar. There is no direct flight to and from Yangon, Myanmar so he has no choice but to have a layover at Bangkok, Thailand. Going to Yangon, Myanmar is not a problem but going back to the Philippines is the problem. He has no other option but to wait for his connecting flight which is the following day. 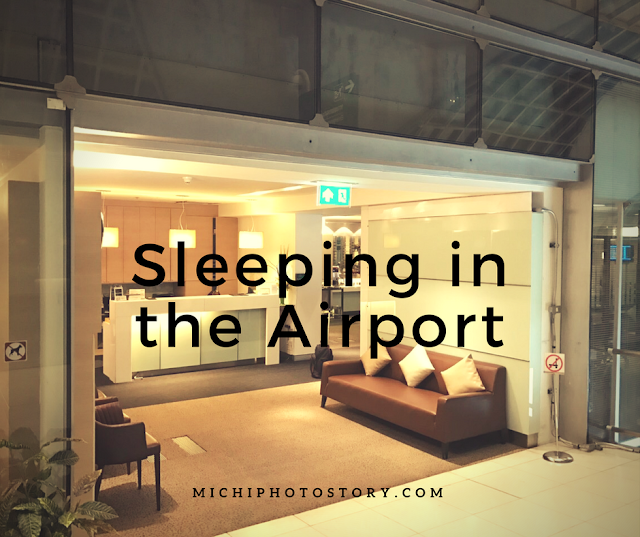 10 hours layover is no joke, I experienced that too at Thai Airways. Weird noh, same experience namin but different destination. Hehehe! Though my experience is different because I waited from afternoon till my midnight flight but my husband needs to sleep. I did not search for day rooms in Bangkok Airport because I’m confident that there is a transit hotel there sa laki ba naman ng airport nila. 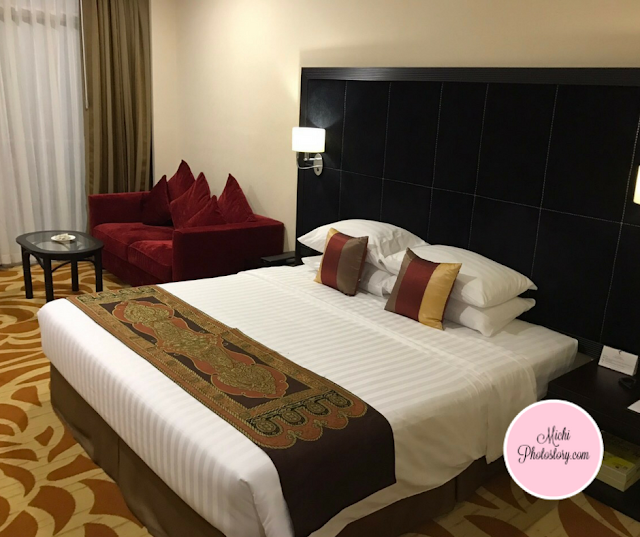 He can also go to Novotel Bangkok Suvarnabhumi Airport Hotel which is 0.15 kilometer away from the airport. 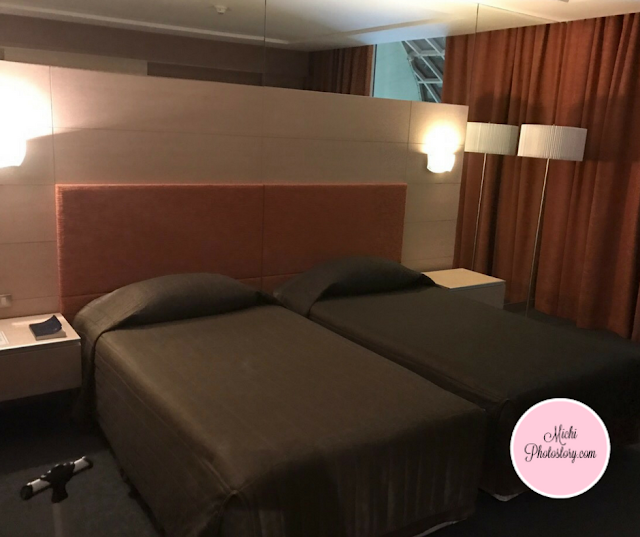 Good thing about the Novotel Bangkok Aiport Hotel is they have no set check-in time, so you can arrive anytime you want and check-out 24 hours later. They also have a 24-hour shuttle that transports guests to and from the airport every 10 minutes. 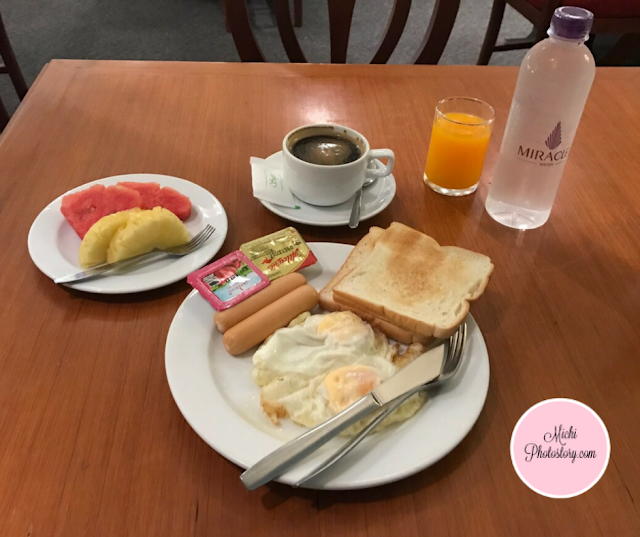 According to my husband, he needs to pay 700 baht (not sure if travel tax) if he will go out the airport and come back the following day so he chose to look for transit hotel in the airport. He found one at Concourse G but unfortunately, it was already fully booked. Thank God, there is available room for him at Louis’ Tavern Transit Hotel Dayrooms Suvarnabhumi Airport Hotel. It is situated in Suvarnabhumi Airport’s transit area on Level 4 Concourse A. Lesson learned, do not forget to book an accommodation. What nice about this transit hotel is you don’t need to go through immigration again. You are literally sleeping at the airport because of your view. The rate is 137USD for 6 hours use + set breakfast meal. Yes, it is not affordable. It is expected na when you’re inside the airport, everything is expensive even bottled water. So in case you need a room for your layover, you can stay at this dayroom. Why Travel for Work is not Fun? Traveling is really fun, I always look forward to visiting new places and experience new things. Our family loves to travel if time and budget permits but I guess traveling for work is not fun at all. It’s been more than a year that my husband travels a lot because of work and I am not really happy about it because he is always miles away from us. I am thankful before that he did not choose to be an OFW but now it seems that I have an OFW husband. Whenever people hear that my husband travels a lot, the initial reaction is “Wow, ang saya naman” or “Wow, ang suwerte naman ang dami napupuntahan”. If my husband is still young and single, maybe work traveling can be fun. But for someone who has a family, it is not amazing at all. The truth is a family trip is very different from a business trip. 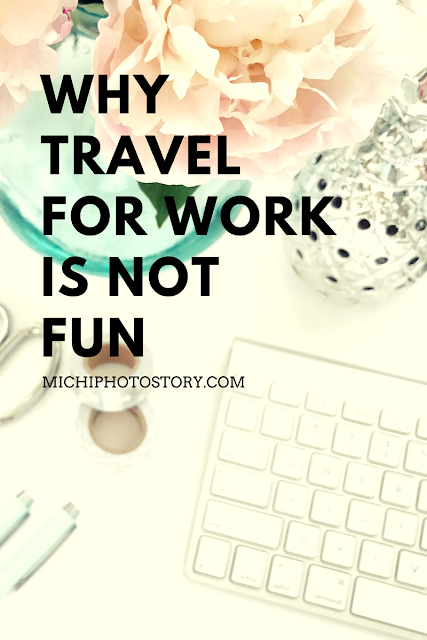 So I will share with you why travel for work is not fun at all, the way I see it. Yes, this is the first reason why work travel is not enjoyable because you will be away from your family. Even there is technology that connects you like video call, nothing beats the personal presence. If my husband has a business trip, most of the time he is not home either Saturday or Sunday because he needs to travel day before or day after his work schedule. Weekends = Family Day, but he is not with us so most of the time we just stayed at home when my husband is not at home. If you will not travel for work, the regular working hours is 8-5PM except if you need to render overtime without pay or with pay if your company offers that. But if you have a business trip, you need to wake up as early as 12AM because as a general rule, you need to be at the airport 3 to 4 hours before your flight. Then sometimes you can’t sleep yet because you are waiting for your boarding time which is 12MN or 1AM. The worst case scenario is you need to sleep at the airport because the next connecting flight is the following morning. You need to adjust to different time zones. It is not enjoyable to adjust your body clock. Sleeping and waking time is very much affected. 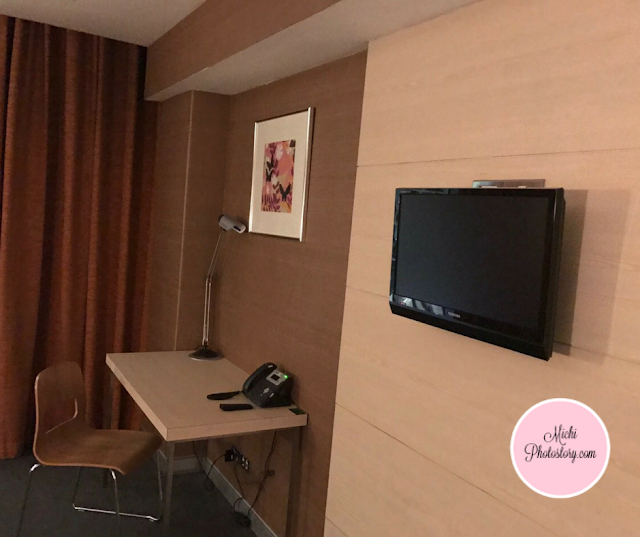 Work travels allow you to stay in luxury hotels but the problem is, you have no time to enjoy the amenities and facilities of the hotel. Most of the time you will just sleep and eat in your hotel because you are already tired. You tend to work longer hours if you are on a business trip because you need to finish your agenda. Yes, you can eat in the restaurant but the problem is, you are not sure if you will eat those foods. If you travel, expect that foods are not the same. Sometimes you will eat the same hotel breakfast food every single day. So when my husband is home, he eats a lot and missed my home cooked meals even it is already our leftover food. Especially if he came from a non-pork eating country. If you have a business trip, you can’t just say “No, I can’t go because it is my wife’s birthday, my son’s recognition or whatever reason you have”. 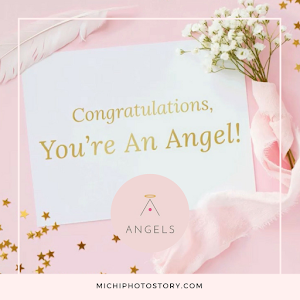 So there are times that you will miss important occasion, events and holidays. Yes, even holidays because you already booked the flight before the government announced that it was a special non-working holiday. I experienced that a lot of times like APEC and EDSA holiday. Even you are not feeling well, you can’t just message your boss that you will file a sick leave. You have work to do that needs to be finished before you went back to your home country. It is not easy to buy over the counter medicine if you are overseas. Good thing my husband was able to buy medicine when he was in Thailand. Lesson learned, do not forget the medicine kit. Here are my 6 reasons why travel for work is not fun. Despite all of these reasons, my husband is not looking for a new job and he does not need to check out ORB for sales associate resumes. I have to admit that there are perks in traveling for work because you can visit different countries and places for free. You can stay in luxury hotels and try different foods. We can expect pasalubongs. Hehehe! But the bottom line is traveling for work is not glamorous as it sounds. 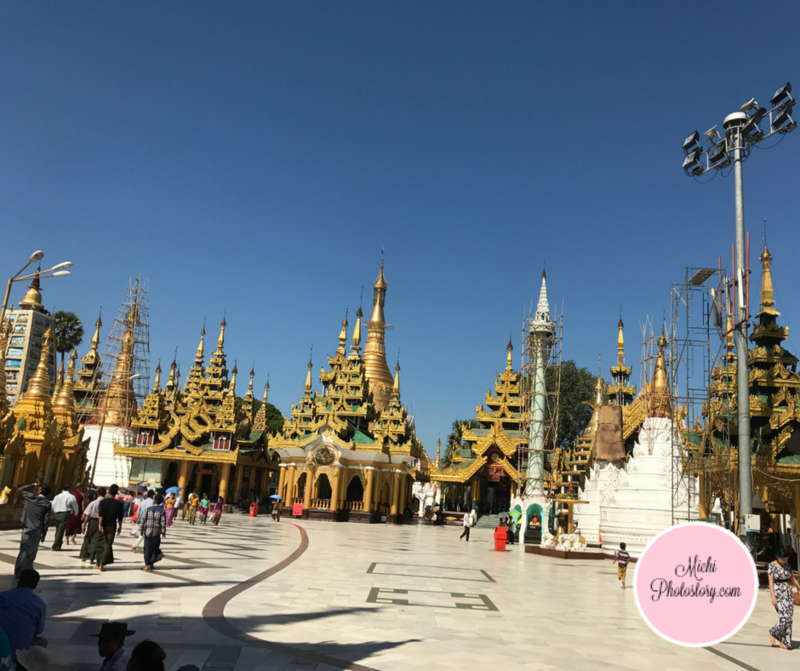 Myanmar is not on our bucket list so we really have no idea about this country. A few weeks ago, my husband told me that he might go to Myanmar and he asked me, ano bang meron don? Hehehe! Honestly, the only thing I know about Myanmar is the famous Hot Air Balloon in Bagan. But my husband is going to Yangon, Myanmar so I searched for this place and I said, parang puro temples don. There is no direct flight from the Philippines. He checked the different options and Thai Airways has the nice flight schedule. Manila to Bangkok to Yangon, Myanmar. It was a long flight including the layover. If you’ve been a regular reader of this blog, you know for sure that my husband doesn’t like taking pictures. So even he’s been to different places, there are no souvenir photos. 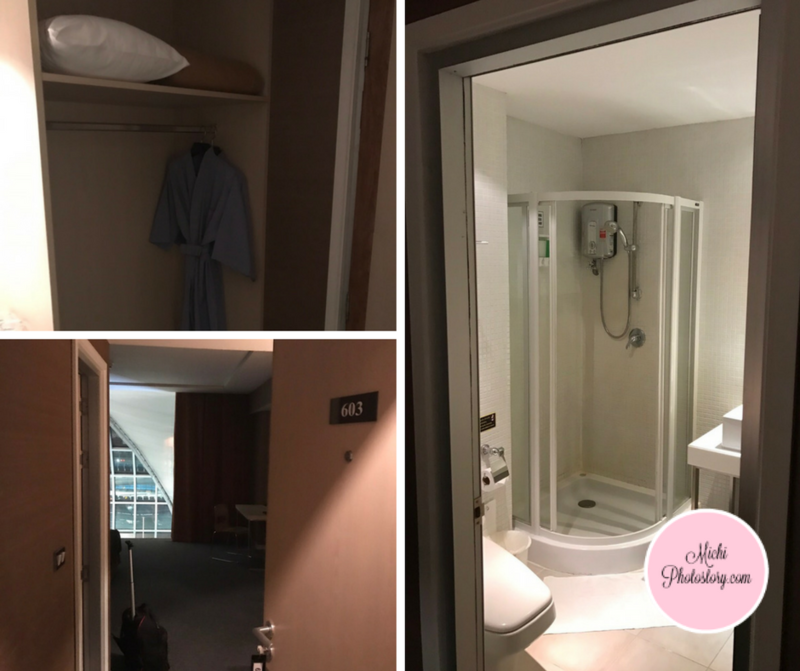 The last time I blogged about his trip was four years ago, ang tagal na nung Shanghai so now I will share some photos about his recent trip. There is a miracle, he took some photos so we can see Myanmar. 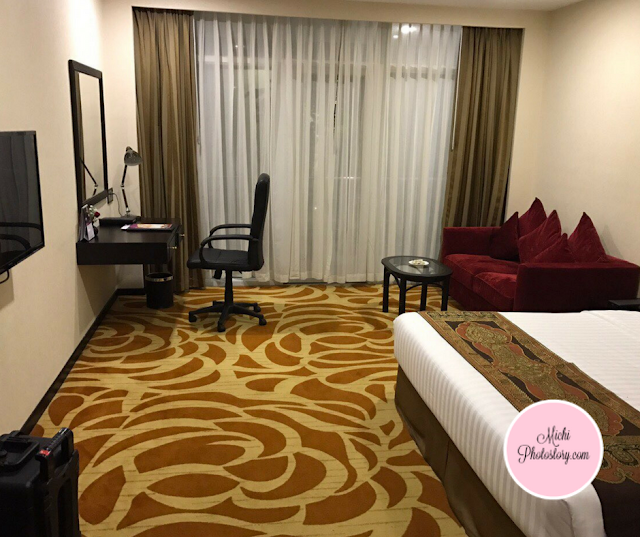 My husband stayed in Taw Win Garden Hotel which is 30 minutes away from Yangon International Airport and 10 minutes away from the city center and Shwedagon Pagoda. 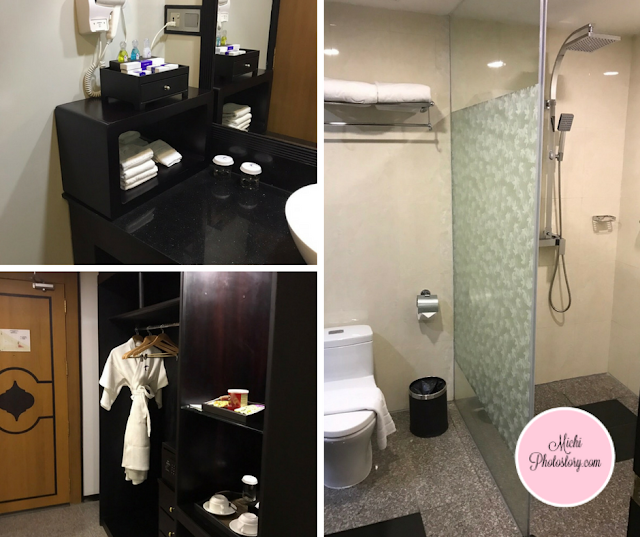 Taw Win Garden Hotel is a 4-star hotel that offers gymnasium, sauna, indoor jacuzzi, salon services, spa treatment and salon services. 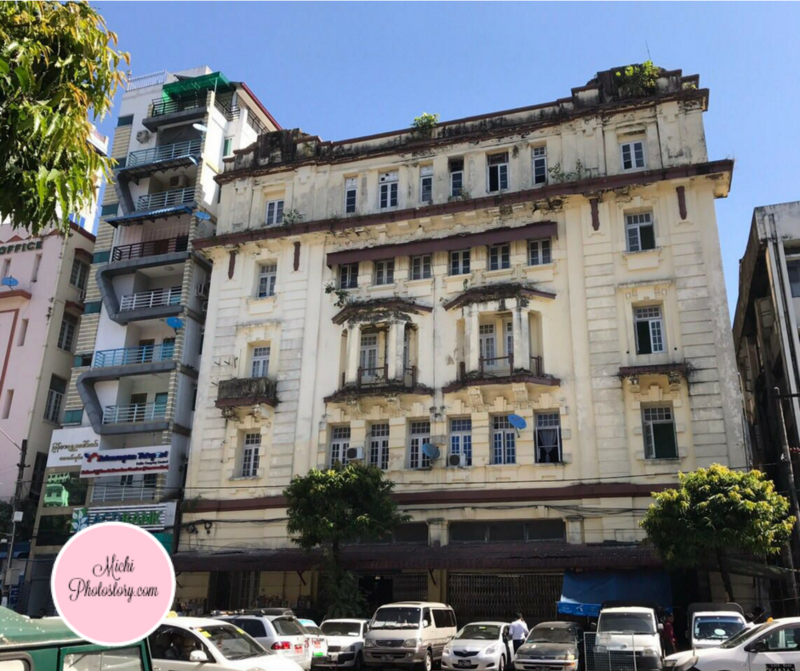 There are four restaurants in the hotel, Thiri restaurant, Su Chinese restaurant, K Khine restaurant and Lobby Bar, and Lounge. There is free wifi but the connection is very unstable hindi man lang kami makapagvideo call. When my husband was out, he could not have a good phone connection too. Since this is a business trip, my husband has really no time to explore the tourist spots so after 4 years, now lang ulit siya natour. After work, his officemate brought him at Shwedagon Pagoda which is few minutes from his hotel. You need to remember to dress conservatively when you visit pagodas, temples and monasteries. In addition, you need to remove socks and shoes when entering religious buildings, restaurants or even entering someone’s home. From the parking lot, my husband was surprised because they will walk barefooted. So they left their shoes in the car and walk to Shwedagon Pagoda. 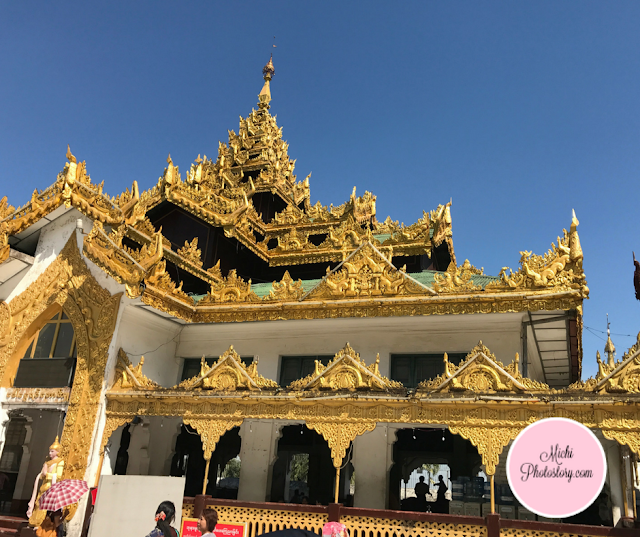 This is also known as Golden Pagoda, a famous and most sacred site in Yangon. It is 326 ft tall made of bricks but covered with gold and the crown has gems. 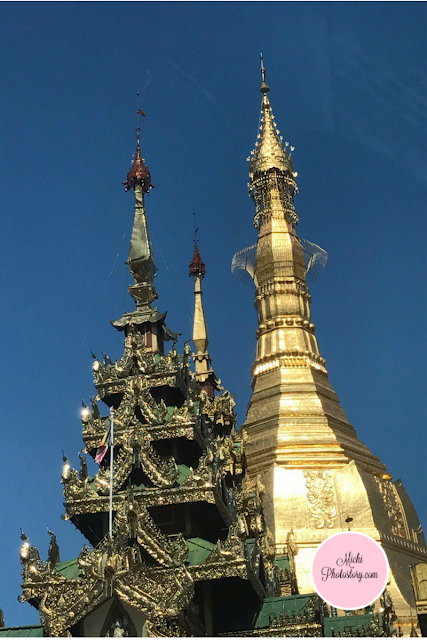 My husband informed me that people all over the country, rich or poor donate gold and gems to maintain the pagoda. According to his officemate, mas maganda daw sa gabi kasi may light which I’ve seen on the internet. 1. Must not wear ladies blouse with wide or deep hives. 2. Must not wear above knee short pants and skirts. 3. Must not wear shoes. 4. Must not wear socks and stockings. Then they went to the White Asian Elephants. It is not the usual elephant that we see in the zoo. 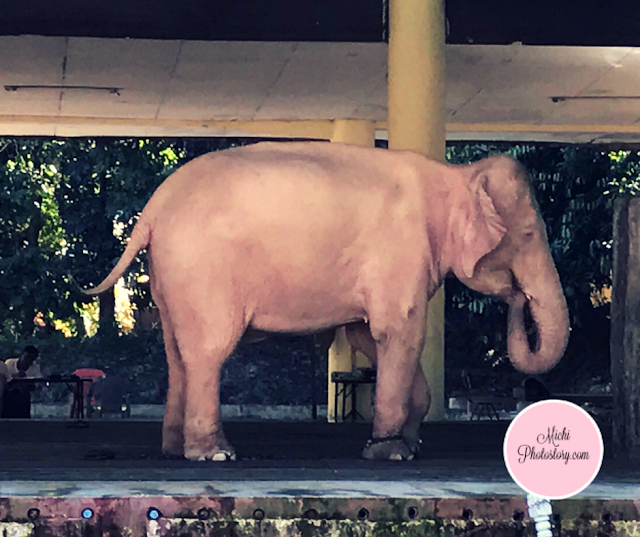 It is an albino elephant but mukha siyang pink elephant sa kin. Hehehe! There are three elephants here but at that time, hubby only saw two elephants. Some people said that this white elephant is a symbol of royal prosperity, power and bring good luck to the country. The elephant looks like a statue maybe because they have chained in their paw so very limited movement lang. Well, that’s it! I hope my husband will take photos again on his next trip. Hehehe! 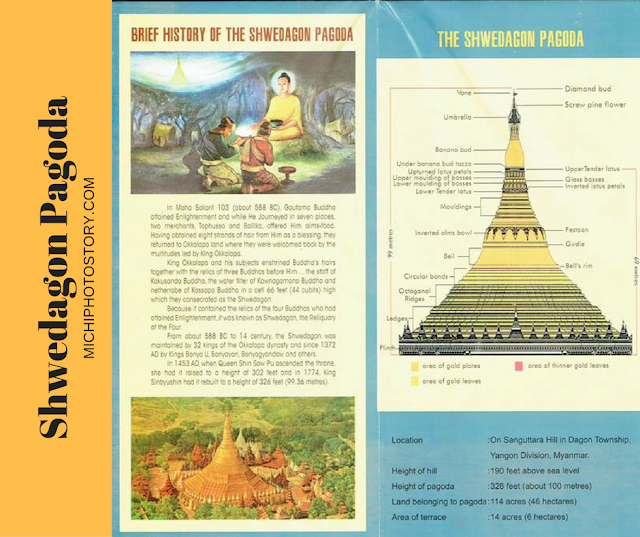 South - Shwedagon Pagoda Road, Kandaw Min Road, Arzarni Road.